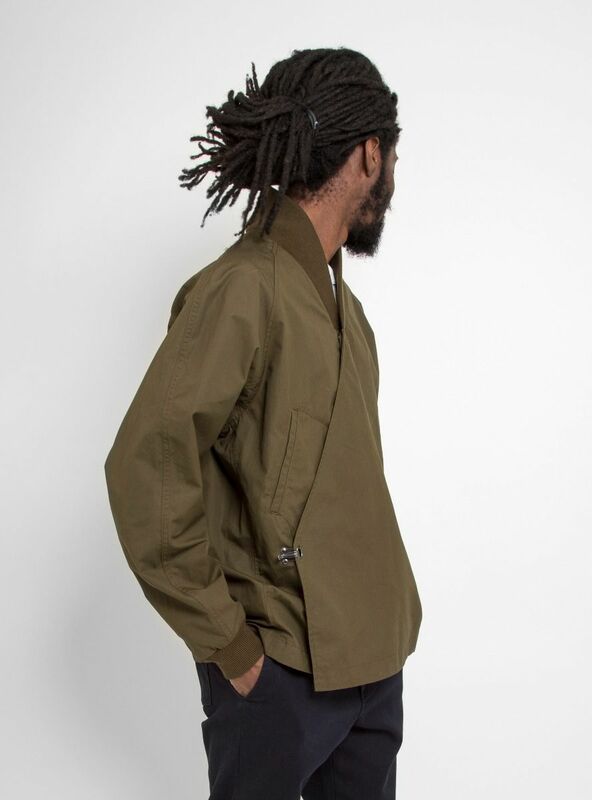 There’s probably a good reason why this Garbstore jacket isn’t shown unbuttoned. I reckon they’d be fair bit of of flappage. Unhitch that fireman clip and I’m guessing an elephant ear’s worth of fabric just sort of dangles there. Drooping, like your confidence. Actually scratch that. I think it’s meant to be worn clipped up. At all times. Bolted in, trussed up, aloof. 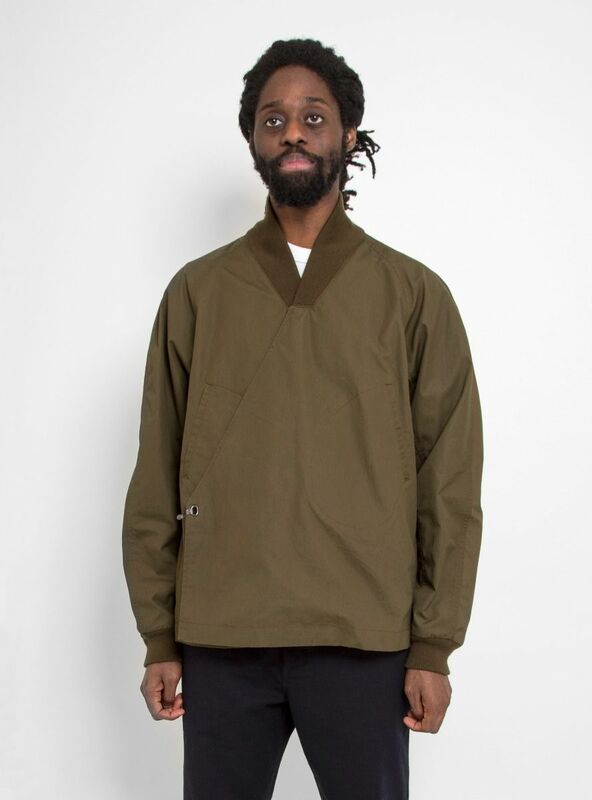 While Garbstore sites US military tanker jackets as their inspiration, the work of brands like Monitaly, Nigel Cabourn and The Superior Labor (amongst many others) can’t have gone unnoticed. 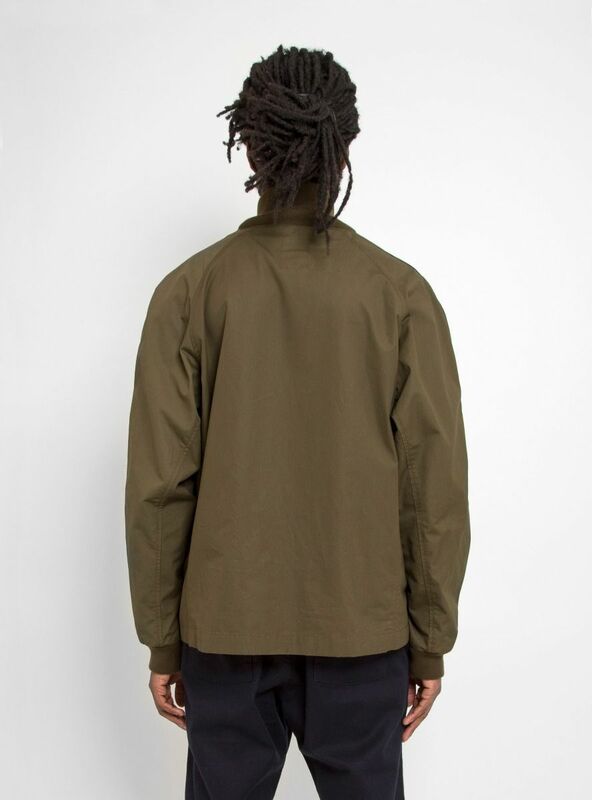 Indeed, a glance at their range this season also suggests standout influences from Needles and Rough and Tumble, amongst their usual simpler windcheaters, tees and coach jackets. I do rate this piece though. The asymmetric crossed front is a bold one to pull off. It’s somewhere between a high end thai restaurant and a non-speaking role in Dr Strange. For safety’s sake, I’d keep your wears of this piece confined to up-scale, art-house establishments. Places you could pass for a connoisseur of european cinema or neoclassical architecture. It may look a bit kung-fu, but it won’t help you in a 100 man ruck down Wetherspoons.